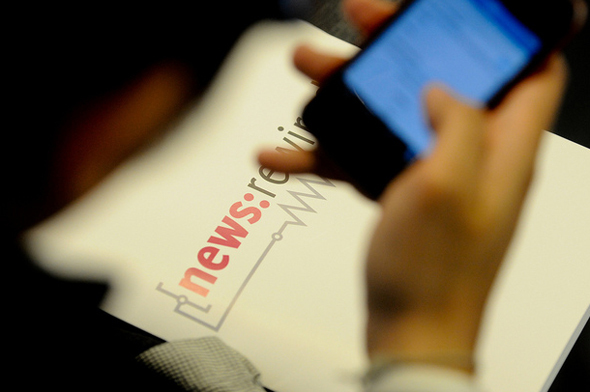 Over the past few of weeks we have been busy working on the agenda for the next news:rewired, a one-day digital journalism conference run by Journalism.co.uk. The next event takes place on Friday 19 April and will be held at MSN UK’s offices in Victoria, London. The first half of the agenda is already available to view online. In this post we’re pleased to introduce you to some of the speakers already confirmed to take part, and further detail on what they will be discussing on the day. There will be lots more exciting announcements in the coming weeks and we will keep you updated both on www.newsrewired.com and via Twitter @newsrewired. First of all, we’re pleased to announce plans to run a session on start-up journalism in the afternoon of the event. This session will look at start-up journalism projects, many of which are making a profit. The speakers from the start-ups will discuss their experiences of experimenting with new business models. This session will run in the afternoon, at the same time as another session. Delegates can choose which they attend. There will also be practical workshops which will run immediately after lunch. More details on these will be available very soon. Cory Haik, executive producer for digital news at The Washington Post (@coryhaik). Cory will be joining the first panel session, discussing the role of the journalist as a manager and some of the interesting ways The Washington Post has been using curation. Alex Wood, editor of the new Tech City News site, @alexwoodcreates. Alex will take part in the lightning round where he will share some key new technologies entering the market, which may be of interest to publishers. Here is more on Tech City News. Matt McAlister, project lead on the Guardian’s n0tice platform and on Twitter via @mattmcalister. Matt will discuss n0tice’s Hash Gordon platform within the curation session in the morning of the conference. Claire Miller, data journalist at Media Wales and on Twitter @ClaireMillerUK. Claire will take part in the data-driven stories session at news:rewired, where she will offer some advice on preparing ahead of known data releases. James Fyrne is deputy editor of SoGlos, an events online magazine for Gloucestershire. The magazine’s Twitter account is @SoGlos. James will join the start-up journalism session, to discuss how its editorial model is helping it turn a profit. Stuart Goulden (@StuGoulden), founder and managing director of One&Other, a news site and magazine in York. Stuart will also join the start-up journalism panel to discuss One&Others evolution. Here is more on One&Other. news:rewired: Delegates can purchase a ticket for the one-day conference for just £130 +VAT. Tickets include lunch, refreshments and after event drinks on the day. news:rewired PLUS: These tickets offer a place at the conference, as well as a day of intensive training the day before the event. The three options on offer for the day of training prior to the event are advanced online research with Colin Meek, data visualisations with Paul Bradshaw and Caroline Beavon, and online video journalism with Adam Westbrook. Space on these training courses is limited. news:rewired PLUS tickets are available for just £310 (+VAT). Find out more about news:rewired PLUS tickets at this link.